InterTalentum, is a programme developed by the Universidad Autónoma de Madrid (UAM), which intends on building particularly favourable environment to attract the best experienced researchers in the four Focus Research Areas of CEI UAM+CSIC: Biology and Biomedicine; Nanoscience, Nanotechnology and Advanced Materials; Theoretical Physics, Computer Sciences and Mathematics and Social Sciences, Legal Sciences and Humanities. 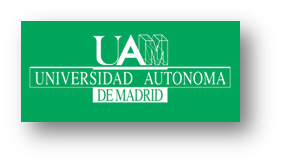 The program aims at exploiting the full potential of the CEI UAM+CSIC to offer the fellows a truly interdisciplinary and intersectorial training that will strengthen their curricula and provide the region of Madrid with a pool of researchers capable of preserving the long standing tradition for scientific excellence and bridging the gap between academic and applied research. Within the proposed 60 months co-funding period (48 months of fellowships), distributed in two International Calls, InterTalentum will offer to 18 incoming experienced researchers (9 fellowships per call), of any nationality, the opportunity to develop her/his research project within the framework of a vast network of institutions participating under CEI UAM+CSIC. InterTalentum will be developed in a Global Campus, including some worldwide reference research laboratories at Universidad Autónoma de Madrid (UAM, included its Joint Research Institutes and Health Institutes), The Spanish National Research Council (CSIC) in representation of its Centers located in the Campus (CNB – National Biotechnology Center, ICMM – Materials Research Institute, ICP - Institute of Catalysis and Petrochemical, ICV - Institute of Ceramics and Glass, IMM - Madrid Microelectronics Institute), Madrid Advanced Research Institutes “IMDEAS” (IMDEA – Alimentación, IMDEA – Nanociencia). Researchers will be selected through a transparent and international evaluation process in which candidates merits will be evaluated qualitatively as well as quantitatively taking into consideration the whole range of experience of the candidates. The second call for proposals is now open until 25th May 2018. All the information about it can be found in the following link. Thank you for suscribing to InterTalentum. Do you want to meet our Scientific Advisory Board? We have already upload the information about the Scientific Advisory Board (SAB) Members! You have until 30th september to send your proposal and to have the chance to join one of the most promising projects for your research career!